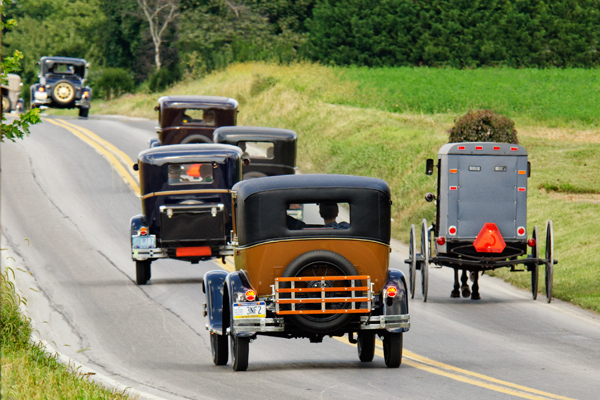 A group of Model A owners takes a day trip through the Lancaster county countryside,which occasionally means passing a horse and buggy. These vintage cars are not going to set any land speed records,but they travel in style and grace and allow one to slow down and enjoy the scenery on an autumn day. This entry was posted in Amish, Photography and tagged Amish, lancaster county, Landscape, model A, Nostalgia, old, Photography. Bookmark the permalink. Wonderful capture, composition and exposure/processing. YThank you for sharing your art, Donald. I don’t comment on every image you post (health limitations) but I do see them all. Thank you,I appreciate you taking time to view my work and the comments given.